VCT or Vinyl Composition Tile as it is known is generally used for commercial applications. It is tough and holds a good shine, yet it is easy to apply and is cost effective for many commercial uses. Caring for your VCT tile does not take any specialized skills except that of regular maintenance, and the results will keep your VCT tile looking as good as the day it was first put down. 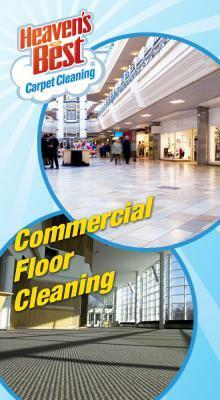 To maintain your VCT tile, you will want to sweep and mop the high traffic areas once a day. Placing mats in those areas will also help cut down on the wear and tear. Damp mop your flooring with a regular floor cleaner to remove dirt and soiled spots. 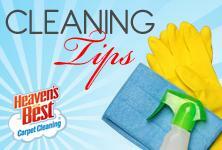 You will want to clean spills immediately to reduce the stain from penetrating and becoming permanent. To remove scuff marks or black heel marks, a non-abrasive polish cleaner and a damp rag should do the trick. And finally, move furniture and other objects around regularly to avoid indentions from occurring.If you have access to a professional floor machine, your VCT tile can be buffed periodically to restore lost luster. The tiles can also be cleaned and stripped every six to 12 months, depending upon wear and tear, and then finished with tile sealer. Here at Heaven’s Best Carpet Cleaning we can handle all of your cleaning, stripping and buffing needs that will help maintain your VCT tile in Birmingham, AL. Give us a call today at 205-618-9150 and we will be happy to help get your started on a maintenance program for your business.